But all is to be dared, because even a person of poverty . . .
Scholars know this poem of Sappho's as Fragment 31. When Sappho had already been dead for centuries, Catullus adopted it in Latin (Poem 51 in his collected works), and his poem, like hers, circulated throughout the Mediterranean world. 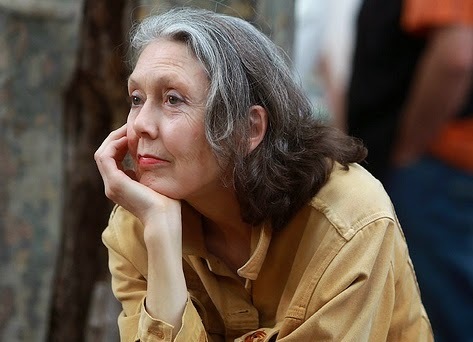 Many writers have tried their hand at bringing this into English, but none has succeeded like Anne Carson, and she did it by cleaving closely to Sappho's original. In particular, by refusing to add possessive pronouns where Sappho has none, she recreates the swift immediacy of the lines in Greek. Carson lets us hear Sappho's urgent, graceful voice, and the millennia between us and the poet of Lesbos drop like mist. Copyright 2018 Frank Beck. All rights reserved. Watermark theme. Powered by Blogger.